Don’t keep searching all over Wisconsin trying to find your next truck when we have your truck right here. That’s right, Ewald Chevrolet Buick has an incredible selection of new Chevy trucks for sale. Including the new Chevrolet Silverado for sale near you. When you want to find a Chevrolet Silverado for sale near you, ask one of our truck experts to show you all of the great new Chevy trucks for sale. With our incredible selection of new Chevy trucks for sale, you are sure to find one that you are ready to call your own at Ewald Chevrolet Buick. So, come out to your Wisconsin Chevy dealer at Ewald Chevrolet Buick. Check out our new Chevy trucks for sale and claim one as your own today. It doesn’t get much easier when it comes to finding great deals on new Chevy trucks for sale either. You should check out our incredible finance rates and lease offers on a new Chevrolet Silverado for sale near you as well. We look forward to meeting you and answering all of your questions on our new Chevy trucks for sale near you. If it is a new Chevrolet Silverado for sale near you, we have just the Chevy truck for you. Like the new 2019 Chevrolet Silverado 2500HD LT for sale. This new Chevy truck is also a part of our diesel truck selection. Chevy diesel trucks for sale are second to none. Chevy diesel trucks for sale have an incredible towing capacity as well as gross vehicle weight capability. This Chevy diesel truck for sale comes with many incredible features that you will not want to miss out on when looking for the perfect truck. Including Bluetooth, cruise control, and steering wheel controls. The high-definition radio will make you want to rock out to your music for hours on end because of the incredible clarity. The rear vision camera is another great amenity. It makes hooking up a trailer to this new Chevy Silverado for sale near you a simple task. If this new Chevy diesel truck for sale isn’t the one for you, check out one of the many other Chevy trucks for sale near you at Ewald Chevrolet Buick. At Ewald Chevrolet Buick, we are happy to sit down with you and figure out what your everyday needs are when it comes to your next new Chevrolet Silverado truck for sale near you. We can help you search through our inventory to find a new Chevy diesel truck for sale that is perfect for your day to day needs. Browse through our online inventory selection of new Chevrolet Silverado trucks for sale near you. You can find your truck based on the criteria that is most important to you. When it comes to Chevy diesel trucks for sale near you, make the trip here to Ewald Chevrolet Buick. We look forward to working closely with you to find the perfect Chevrolet diesel truck for you. 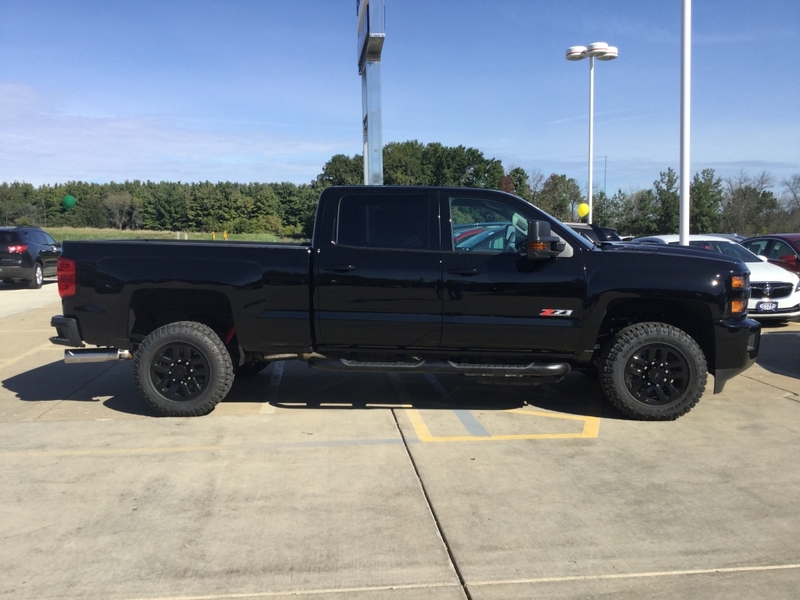 When it comes to buying your next new Chevrolet Silverado diesel truck for sale, let Ewald’s Chevrolet dealership in Oconomowoc be your dealership. You can give us a call at (262) 226-2842 to schedule your test drive. Or, check us out in person at Ewald Chevrolet Buick located at 36833 E Wisconsin Ave Oconomowoc WI, 53066.